Volunteers from Florida’s West Panhandle District ARES recently supported communications for the inaugural Cottonmouth 100, an “Ultramarathon” 100-mile endurance run. Sixteen Amateur Radio operators from three Florida counties — Escambia, Okaloosa, and Santa Rosa — took part in the event over the November 14-15 weekend. ARES volunteers used 2 meter simplex and one repeater — the North Okaloosa Amateur Radio Club’s 147.36 MHz Crestview repeater, W4AAV — in providing communication support at six aid stations as well as at the start and finish lines. The race, with 150 runners, took place in part of two counties in a wooded area encompassing nearly 200,000 acres in the Blackwater River State Forest Bear Lake Recreation Area. 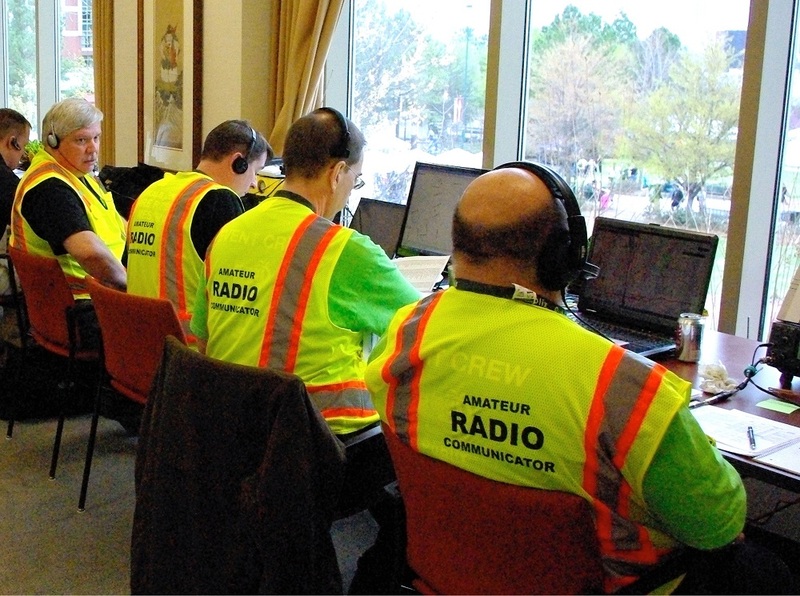 Amateur Radio support for the event did not begin until runners had completed the first 50 miles of the course. The plan called for using simplex as much as possible and only using the repeater for those aid stations that could not be heard on simplex. Among lessons learned was a need for more operators and a back-up net control station as well as a runner at net control. “Overall the event was a resounding success,” Crepeau’s report said. “All the operators learned the importance of back-up equipment. We also learned that an elevated gain antenna and a minimum of 25 W radios is preferred when using simplex.” Her report noted that hand-held radios were “problematic” and that while some stations could hit the repeater, simplex stations could not. ARRL Northern Florida Section Manager Steve Szabo, WB4OMM, praised the volunteers. “Thank you for all of you hard work and positive efforts!” he said.